Joe broadcasts live from CPAC 2017 Last Day! Talking about how to impact public policy on faith, family, and freedom with Ashton Belk at Centennial Institute. Donna Rice Hughes from internetsafety101.org says they have a curriculum created for parents to help make sure their children are safe on the internet. Check out the videos and free resources. It isn’t just an issue with computers anymore. There are also gaming devices and phones! The most important thing is to have ongoing communications with your children. 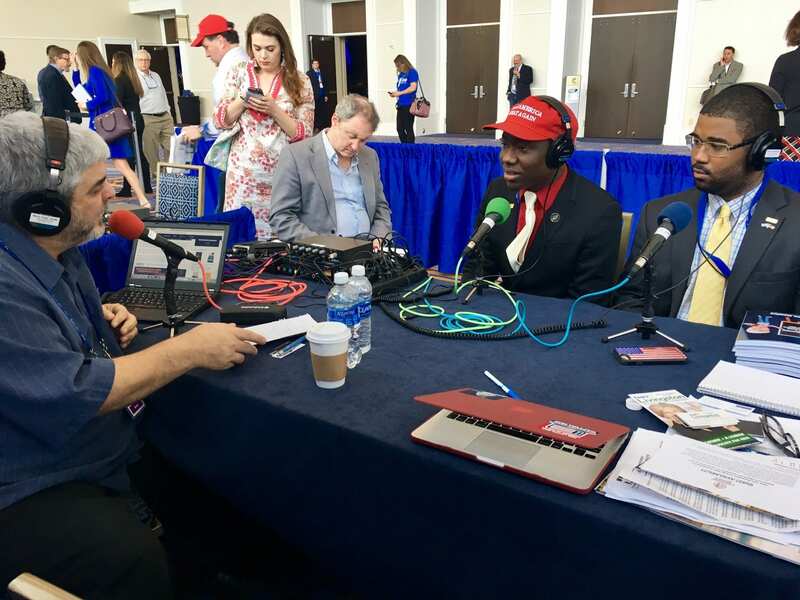 Diante Johnson and Marv Allen launched the Black Conservative Federation to make the black community aware that you can be black AND Conservative, and proud to be openly Republican! It’s sad that the Left resorts to name-calling to intimidate and deter people from voting Republican. 2nd Amendment expert, Dr. John Lott says California is a case-in-point with recent legislation limiting ammo purchases to 100 rounds at a time, have to have a background check (and pay ~$70 fee) each time you purchase ammo. Who are they REALLY disarming? Poor, Hispanic, and black people who live in urban areas. Author Peggy Grande talks about the personal side of Ronald Reagan.